Your Guardian Angel's inspirational message on a Wing Necklace. Pick one of our messages or create your own. 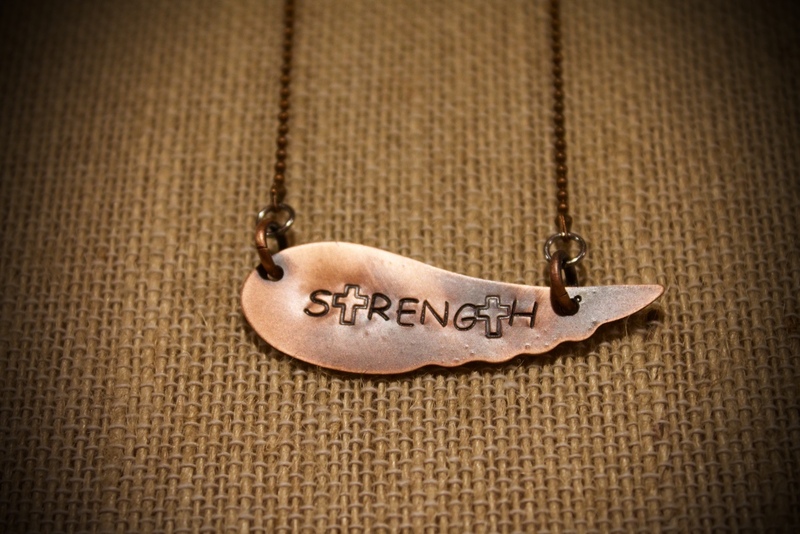 Made of copper, oxidized, treated and sealed to give it a vintage look that will last. 24" antiqued copper ball chain that can be adjusted to your desired length. Created by hand and can be customized or personalized.